"After a successful first year, Dilly Dally Garden is looking forward to making many more table topper and special event bouquets--for all my friends! " "We grow our cut flowers and herbs for sale in our shop, at a CSA and for weddings and events." "We grow beautiful, seasonal blooms for sale to select florists and use in our own custom designs." 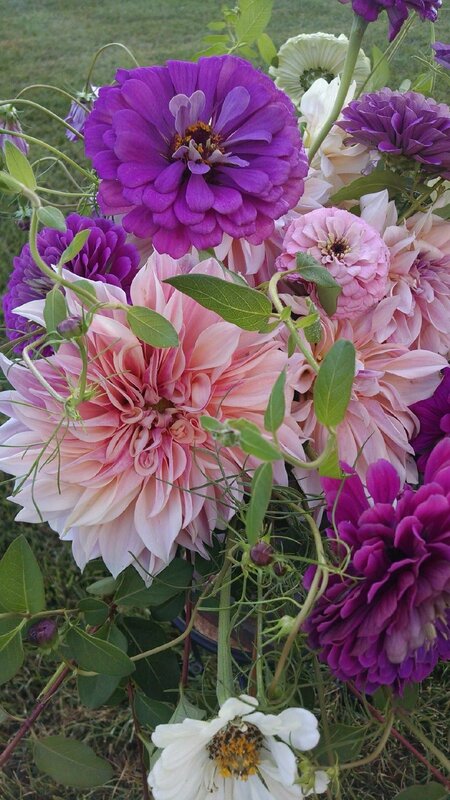 "On our Davidsonville farm just outside the DC-Metro area we grow seasonal flowers. We'd love to share our beautiful flowers with you!" "Growing beautiful flowers, herbs and fillers for floral designers and to stock my seasonal Flower Cart." "We grow and sell fresh beautiful flowers on our farm near Annapolis, Maryland." "We grow a patch of Cut-Your-Own Flowers. Come out and enjoy cutting and arranging your own beatiful bouquets!"